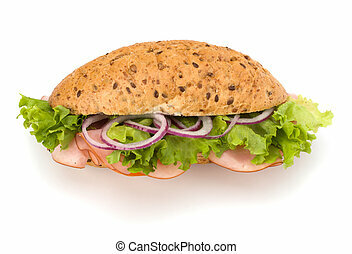 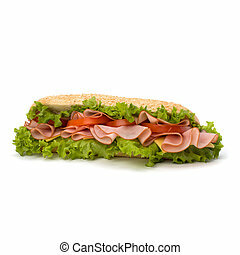 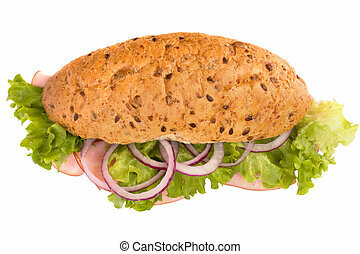 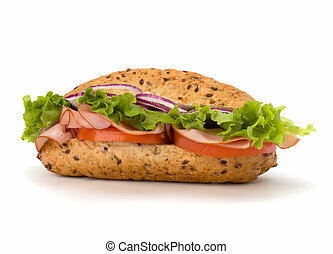 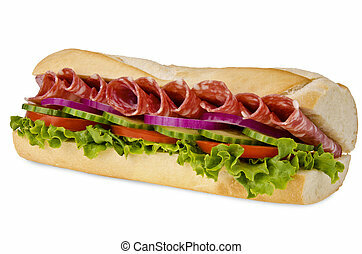 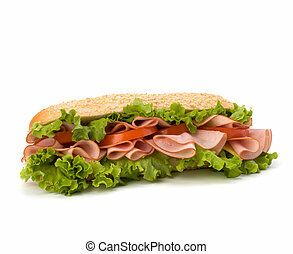 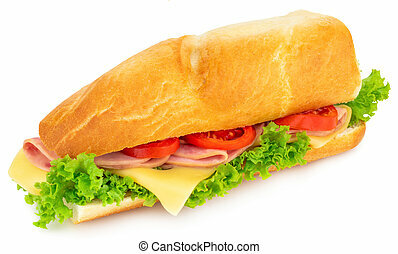 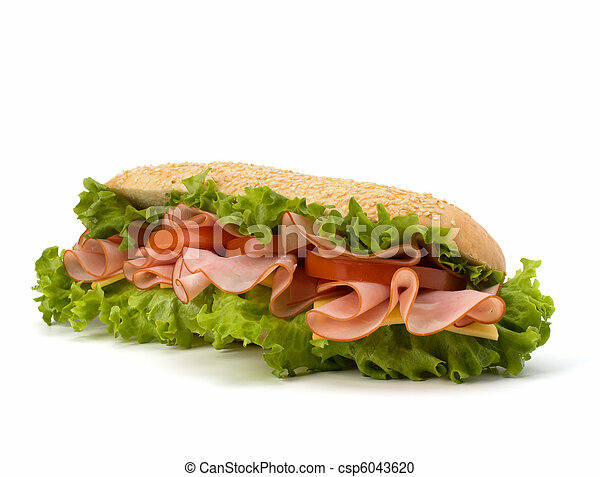 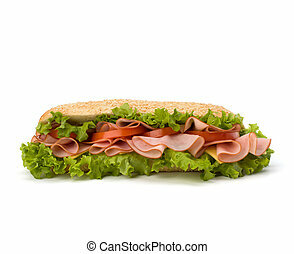 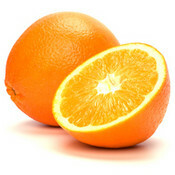 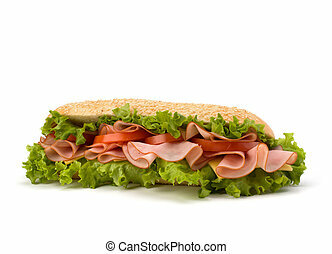 Huge sub sandwich isolated on white background. 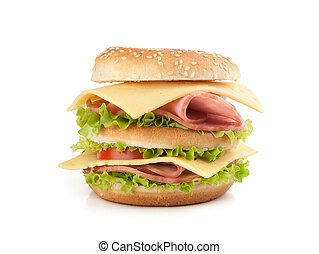 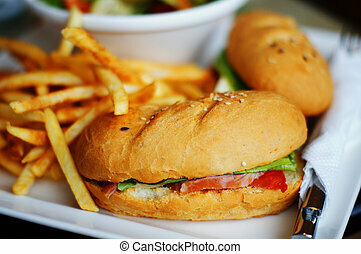 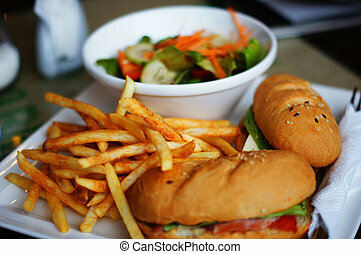 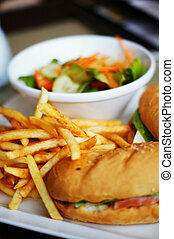 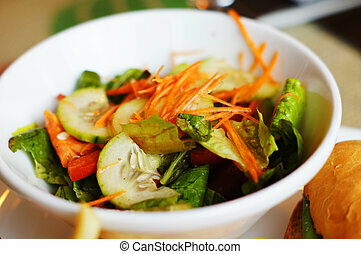 Big appetizing fast food sandwich with lettuce, tomato, smoked ham and cheese . 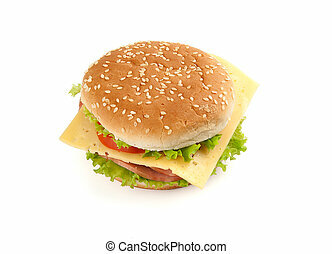 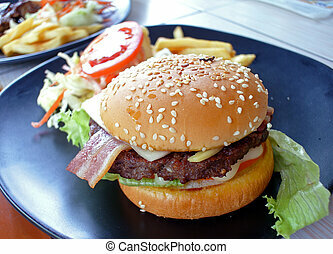 Junk food hamburger. 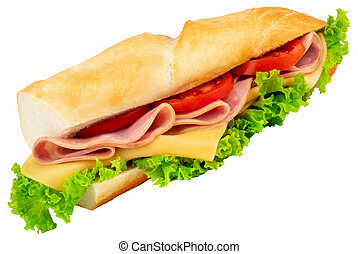 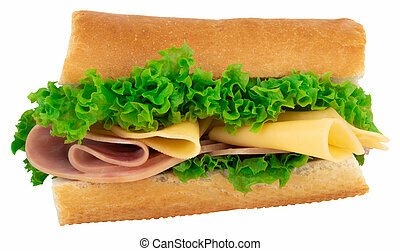 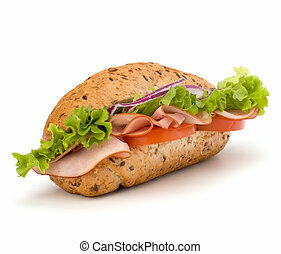 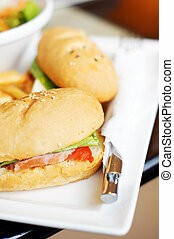 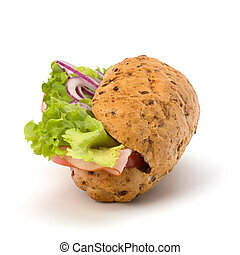 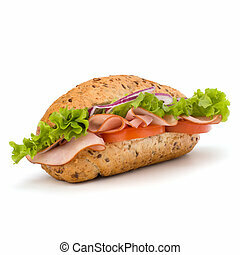 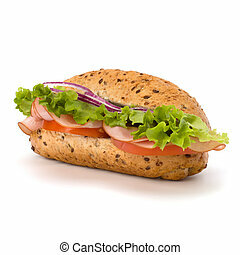 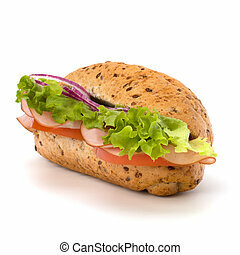 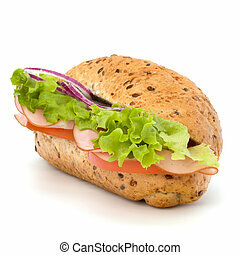 Fresh baguette sandwich with ham, cheese, tomatoes, and lettuce isolated on white background .